Skin cancers are the most common type of all cancers and can affect men, women, and children of all ages and races. Dr. Joseph Sedrak of EpiDermatology in Houston, TX, Kingwood, TX, & Sugar Land, Texas, is passionate about educating those in his care of the dangers of skin cancer and providing top quality diagnostic and treatment services when needed. If you’d like a professional skin cancer evaluation, book an appointment using the simple online scheduling tool or contact the office by phone. All types of cancer share the characteristic of excessive cellular turnover. Essentially, something triggers your body to create new skin cells, which leads to a number of health issues. Anyone can develop skin cancer anywhere on your body. That said, skin cancers are most common on areas of your skin that get an abundance of sun exposure. Your risk level rises if you have fair skin and light-colored eyes and hair. Working outdoors or spending significant time in the sun also elevates your risk. Skin cancer is usually not life-threatening when caught in the early stages. Left untreated, however, it can spread to other areas of your body where it can cause serious and sometimes deadly complications. What are the stages of skin cancer? Like all cancers, staging is an important part of the diagnostic process and gives your health team the information needed to create your customized treatment path. There are five stages of skin cancer. In the earliest stage, called Stage 0, the cancerous cells are only present in the outermost layers of your skin. As you move through the stages the cells are found in the subsequently deeper layers, and the tumor gets larger. In the latest stage, Stage IV, cancerous cells have penetrated beyond your skin and are present in other tissue types like lymph nodes, bone, or other organs. Skin mapping is a skin cancer diagnostic tool used to identify skin cancer in the earliest stages. It involves using imaging devices and software to create a comprehensive view of your skin and all existing pigmentation abnormalities. 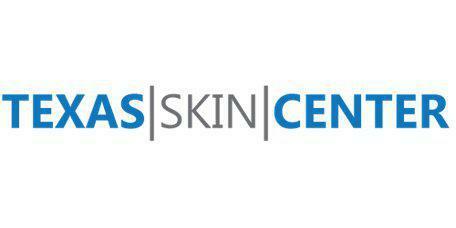 Once you’ve had a skin map created, both you and Dr. Sedrak have a baseline understanding of where your moles and pigmentation differences are. That makes it easier to identify changes in those areas or new skin growths. Skin mapping is an excellent tool for men and women who’ve been previously diagnosed and treated for skin cancer. Once you’ve experienced any type of skin cancer you have an elevated risk of new cancers for the remainder of your life. If you have questions about preventing, diagnosing, or treating skin cancer, schedule an appointment with Dr. Sedrak online or by phone.